When our children are in the third grade we read the Little House series of books with them, in part to acquaint them with more challenging reading materials but also to teach them about our pioneering days as a country as we expanded westward. 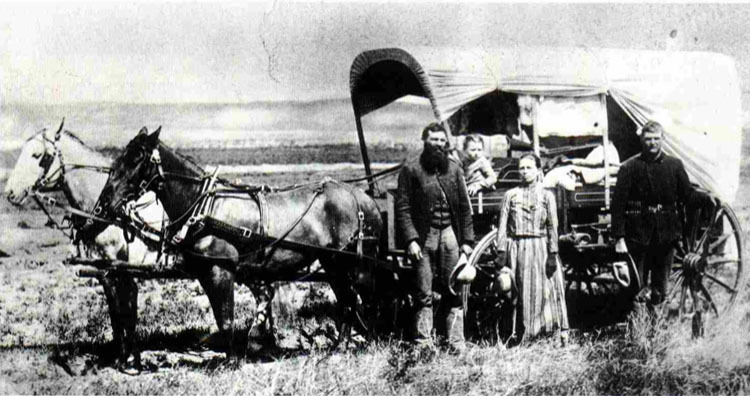 Most people are familiar with Laura Ingalls Wilder’s story of how she crossed the country in a covered wagon with Pa and her family in the 1860s and 1870s. Few realize that in her lifetime Wilder saw a huge industrial and technological leap forward. In 1954, Wilder flew on a plane to visit her daughter. The same girl who knew the hardship of the covered wagon also flew on an airplane. That story is a parable about fast-changing technologies and how they catch us by surprise and upend conventional thinking. There are many examples of this in recent times: In 1977, the home computer was invented and in less than two decades, it became a ubiquitous part of the developed world’s workplaces and homes. In 1991, the mobile phone (then the heavy bag phone) was introduced for mass-market consumption. It got progressively smaller, lighter, and more powerful until the introduction of the Apple iPhone in 2007 radically altered the mobile computing landscape. So it is with the way automobiles operated in the city – not just in how they move, but how they stand still. How we park our cars has by far the biggest impact on the urban form of the places where we live. Billions of dollars of infrastructure are built every year through both public and private subsidies to store our cars. These surface lots, parking decks, garages, and on-street spaces take up a massive amount of our built environment – nearly 30% in some cities. We finance parking facilities with bonds and mortgages that get repaid over 20 years or more. But impending changes in transportation patters mean that a parking deck built in the urban core today may be functionally obsolete long before it’s paid off. Why? A “mobility convergence” is rapidly approaching in North America and Europe, driven by declining desire for car ownership, the imminent arrival of self-driving cars, and a flood of mobile apps for sharing vehicle capacity. It’s entirely conceivable that the owner of a parking deck financed with a 20-year mortgage in 2015 will be making debt-service payments in 2025 on a facility using less than 25% of its available capacity. To some, this will be unthinkable, just as airplanes were to Laura Ingalls Wilder in her covered wagon. But let’s look at recent decades for some lessons. Beginning in 1903 with the introduction of the Ford Model A, Henry Ford and his peers replaced the horse and carriage with the automobile, thus revolutionizing not only how far we could travel but also the infrastructure required to support that travel. In 1954, President Eisenhower signed the Interstate Highway Act. The United States institutionalized (and heavily subsidized) Ford’s leap forward with the construction of a vast network of streets and highways designed to accommodate that single technology. Then, in the past decade a series of transformational changes began to occur that will lead to the next big leap forward – the decoupling of mobility from car ownership and operation, and this will alter the spatial arrangement of our cities. Three forces, one demographic and two technological are quickly combining to bring what will be the most important, most far-reaching change to our urban society, affecting not only its physical form but its financial structure as well. This transformation started with a generation raised by the Baby Boomers, the wealthiest, most privileged generation our society has known. In spite of the obvious trend of their parents, and generations before them, the Boomers’ children began to eschew the rite of passage for every teenager – the driver’s license. For the first time in the history of automobile mobility, the rate of driver’s licenses amongst the population actually began to decrease, led by the so-called Millennials, who collectively have spent more time in a car than any generation of children in history. The idea of car ownership as a hallmark of success is likely coming to an end. Riding in parallel with this societal change has been the evolution of the autonomous vehicle. Led by technology-based corporations whose likely motivation is to increase the number of hours we consume content online, the driverless car or at least its comforts have been the promise of car manufacturers for decades. Science fiction predicted long ago that we would be able to step into a personal vehicle, kick back and relax while a computer navigated the streets. 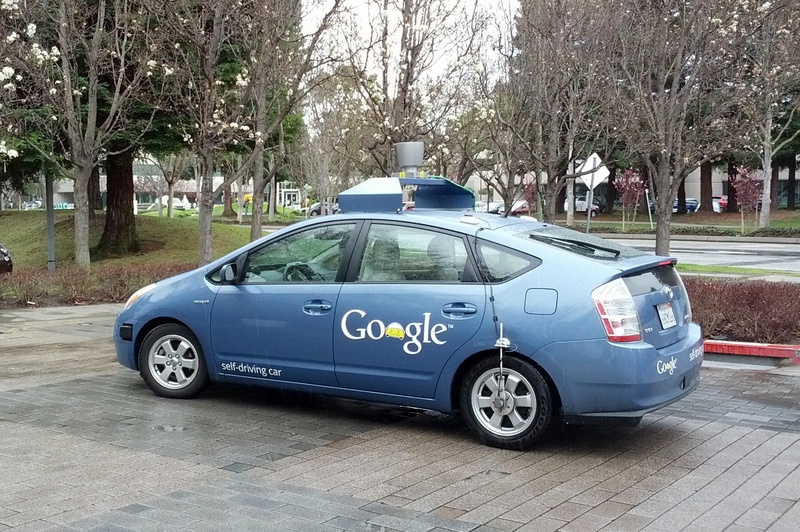 Today, with a massive investment in the technology plus the legal structure necessary to support such a vision, Google’s Self-Driving Car Project has logged more than a million miles of accident-free transport over the past few years, navigating the streets of Mountain View, CA using a sophisticated combination of Lidar remote sensing hardware and navigation software. The third force, a combination of entrepreneurship fueled by social media, has created a rapidly emerging market for sharing assets. Like Airbnb, which liberated hundreds of thousands of empty bedrooms to create extra income, lower cost and often more interesting ways to travel, companies like Uber, Lyft, ZipCar, and Enterprise CarShare have taken an underutilized resource, the personal automobile, and created a software algorithm to match up empty seats in a car with potential riders through both on-demand and subscription services. Our cars, on average, spend almost 96% of their existence doing absolutely nothing but taking up space. And when we do use them, they often travel with 50-75% excess capacity. These ride sharing services have made it easier and often more enjoyable to live without a personal vehicle. More importantly, they have figured out a way to better utilize the excess capacity of our collective mobility system. These three forces – diminished desire for car ownership and operation, improved technology for riding autonomously, and algorithms to maximize the capacity in our mobility network – presage radical changes in our mobility and urban form. When this convergence is complete, we will be able to summon an autonomous vehicle with our phone, watch, or other wearable (or perhaps implanted) device and be transported to our destination cheaply and safely. The resulting efficiencies are staggering. By some estimates, autonomous vehicles, with their constant speeds and ability to reduce the gaps between vehicles, can increase the capacity of our current highway system by 370%, reduce the total number of vehicles needed by 80%, reduce the demand for parking spaces by 80%, and virtually eliminate the need to park a vehicle near your home, workplace, or store. Most new mass-market vehicles will be electric. A big percentage of these vehicles will be autonomous or semi-autonomous. The car market as we know it today will likely shrink by 80%. Gasoline will become obsolete as a mainstream fuel. New highways will hardly be needed. Up to 80% of parking spaces won’t be needed. Individual car ownership will diminish to a fraction of what it is now, or simply become a niche market. The car insurance industry will need radically different models of operation. The taxi industry will be obsolete. 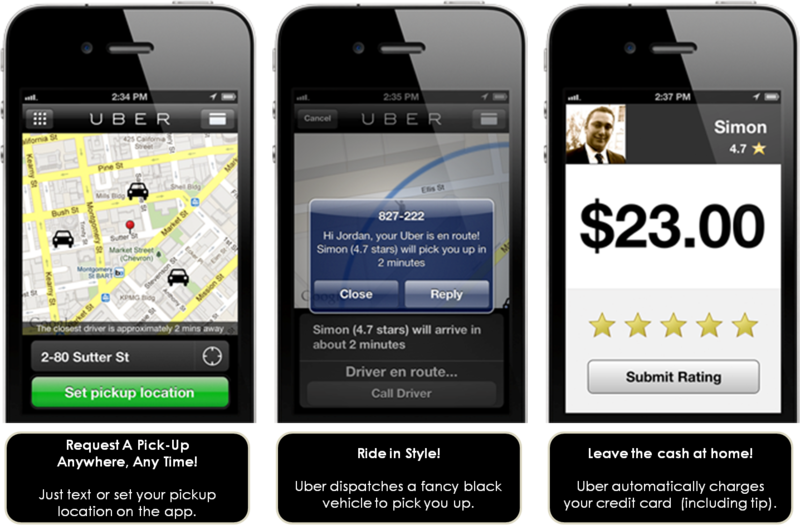 Foreshadowing these changes, Uber and Lyft have virtually dismantled the taxi system in several cities in just a few short years, and digital technologies are radially reshaping our communications and personal relationships in many fields. None of these, however, has the enormous infrastructure footprint of the parked car. Changing this will not be easy. People and jobs have now returned to the center cities but not without bringing with them their voracious appetite for parked cars. The benefit of the walkable downtown should be to provide choices in mobility, shunning the need to replicate the parking standards of suburban business parks. And yet, the institutions supporting the automobile remain as wedded as ever to the massive infrastructure necessary to park a vehicle for more than 95% of each day. We sit today in the crosshairs of two transformative shifts. The first is the welcome return of jobs and housing to our downtowns. Corporate America is discovering the power of place in attracting and retaining the very best people for their organizations, and a variety of demographic groups once again call the city their home. The second is the transition of the dominant form of transportation – the largely single-occupant automobile – to an autonomous, on-demand service that will likely be divorced from vehicle ownership. So, how do we make the transition? Step one: Amend (and preferably eliminate) the required minimum parking standards for private development enforced by local government zoning codes. The minimum parking requirements embedded in zoning codes usually mimic suburban standards established decades ago. They are artificially high at best and bear little relationship with the realities of the marketplace. In ten years, parking supply will be well above capacity because of the coming disruption, so if we are truly “planning” we should acknowledge this and get out of the way. Step two: Eliminate any barriers to autonomous vehicles and car-sharing services. Cities across the country have already begun adaptation, with positive outcomes. The cities that don’t adapt will be the dinosaurs of the next age. Step three: End of the provision of public parking by government. This is perhaps the most difficult provision of the three and this transition will likely vary from city to city depending on their maturity. New York, Chicago, and San Francisco may be close to this point already whereas Atlanta, Charlotte, and Nashville will necessarily need to trail – perhaps by a decade or more. Many cities have become addicted to providing parking paid for by the taxpayers using 10 or 20 year bonds. Some are backed by good-faith estimates of parking revenue streams or incremental increases in area tax receipts whereas others are simply outright commitments of public resources. Parking revenue models will likely begin to fail in some cities within a decade and the demands on government resources will only continue to increase. From the repair of infrastructure to the expansion of transit to the provision of affordable housing, cities already juggle many urgent needs; removing one that’s outlived its usefulness represents smart governance. To tie up precious resources for 20 years or more on an investment that may plummet in value is a great risk for precious public funds. Unlike Laura Ingalls Wilder, who had to live a lifetime to move from the covered wagon to the airplane, we are likely to see this disruption of our urban infrastructure in less than a generation. Car manufacturers will resist, insurance companies will resist, the lawyers will resist, and those stuck in the mindset of cheap, available parking for cars will resist. But despite that, my children – the youngest of whom are the same age as Wilder was when she left the big woods – may very well never need a driver’s license, much less a car. And, in the coming years, we may just build the last parking garage that we will see through to the end of its payments.